On Saturday, an earthquake measuring 6.6 on the Richter scale ripped through rural South-Western China, killing at least 160 and injuring more than 5,700. Regular MOBA heroes Invictus Gaming have since decided to donate their latest prize to the Sichuan relief effort – cash won in the finals of the Chinese Gigabyte StarsWar League two days ago. The team publicised the decision on a Chinese social network, stating that both the players and the club had agreed to donate to the disaster areas in Ya’an. Invictus hoped that locals affected by the quake could move on and rebuild their homes “as soon as possible”. Invictus won 300,000 RMB – a little over £31,500 – in their bout with World Elite on Wednesday, despite entering the final at a disadvantage. WE had emerged from the upper bracket with a one-game lead. 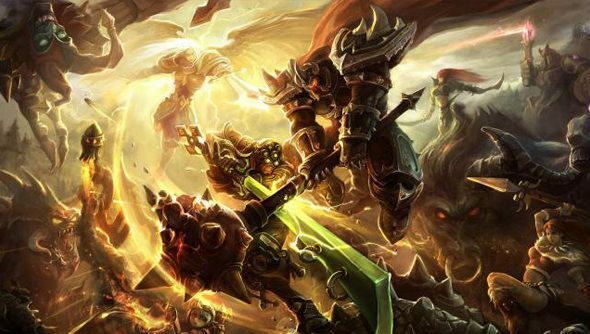 iG and WE began their final match of four with two points each, and their teamfights proved equally well-balanced. However, iG were in their element with Malphite and Illusion’s favoured jungler, Hecarim. Their confidence in their champions eventually won them the match and the series. In happier news, iG received their automatic invite to the Dota 2 International 2013 this week, having beaten Natus Vincere to the $1 million top cash prize during last year’s tournament.